The CCA Centre in Andratx, Mallorca is a haven of serenity and creativity. 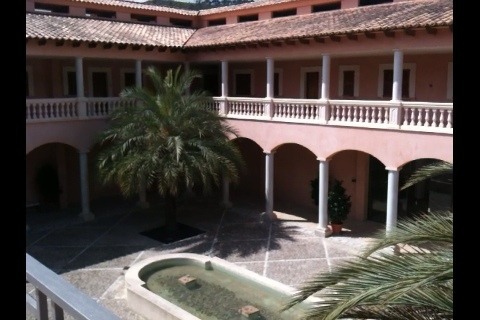 The exhibition space is wonderful, the galleries centering around a beautiful courtyard dotted with palm trees. 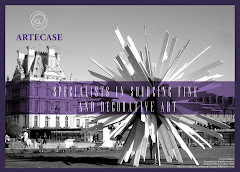 Ismael Iglesias is a Basque artist who participated in the CCA Artist-in-Residence Program during October 2011 and developed a wide series of paintings which together form his solo exhibition ‘Future Light’. 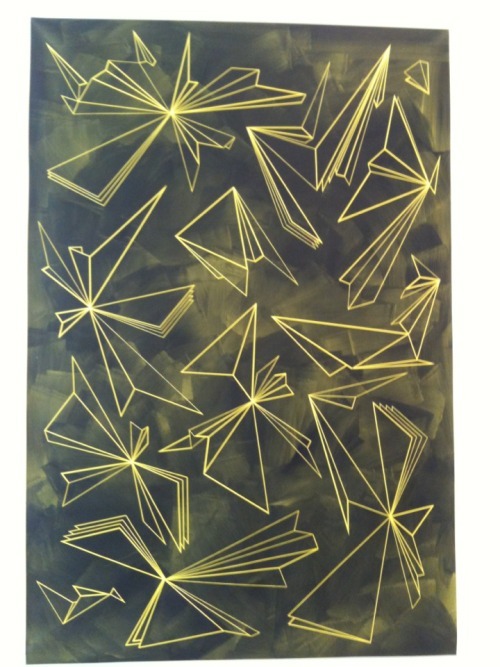 This work by him entitled ‘Alibaba y los 40 Vizcainos’ is painted in acrylic on linen and shows strongly geometric shapes fluidly suspended in space. 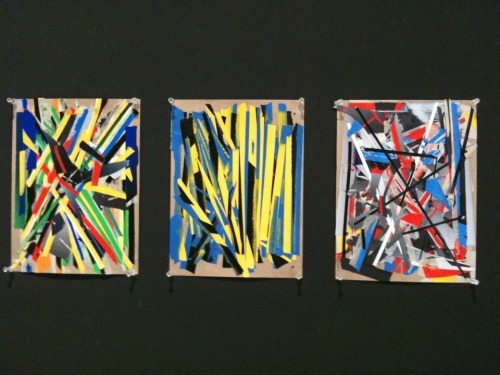 We also liked these three collages , part of a series entitled ROKOVOKO 005, 006 ,007, also by Ismael Iglesias. 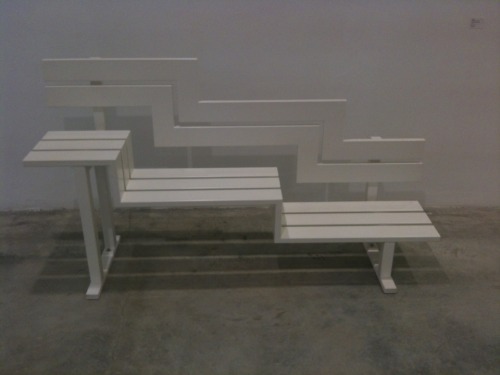 This seat by Jeppe Hein, was exhibited in the entrance area and we liked the white on white effect of the bench set against a white wall. Entitled ’Modified Social Bench U’, it is made of powder-coated galvanised steel and is number 3 out of 5 editions (+2 PA). The ’park bench’ is white and is sectioned into three levels thus changing its nature entirely and adding a quirky and challenging dimension. A laserchrome colour print mounted on 4mm aluminium called ‘Adonis (Backpack)’ by Michel Elmgreen and Ingvar Dragset. It is one of an Edition of 5 (+2 AP). 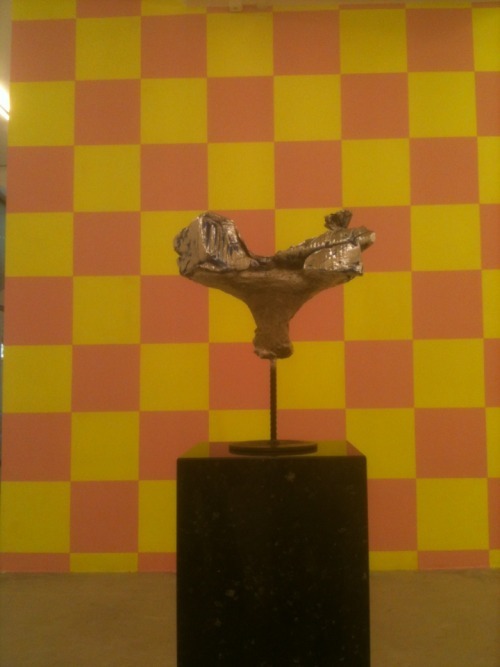 We loved this sculpture called ‘La Mer’ by Anselm Reyle and Franz West. 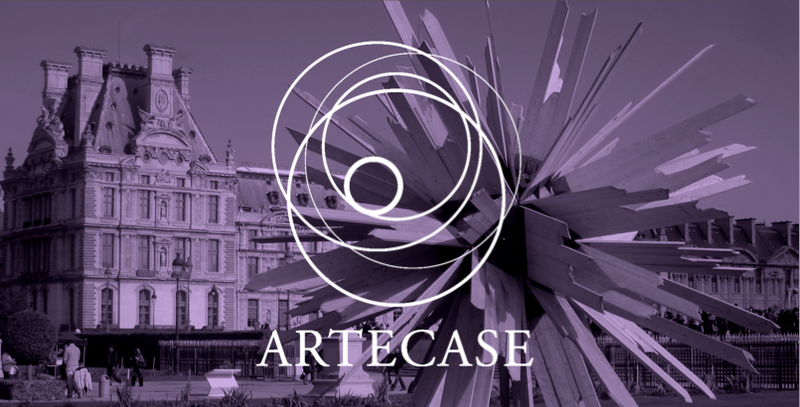 It is made of papier mâché, bronze and chrome optics set on a marble plinth and looked particularly spectacular set against the mural in acrylic paint also by the same artists.